Right back to LNWR days, the North Wales coast was always a favourite place for Crewe Works to test new and overhauled locos. In more recent times, test trains returned to the coast in 1984 following closure of the signal box at Church Stretton, their previous destination. 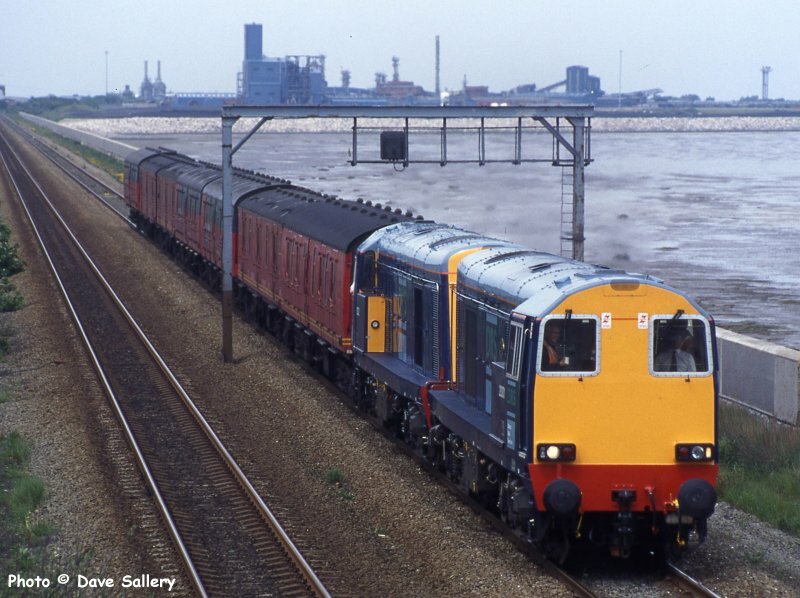 During the 1980's and 90's everything from DRS Class 20's, refurbished 37's, RES 47's and new 56's have appeared, even "Ixion" had its first run, after rebuilding, on the coast. Following the withdrawal of older classes, privatisation and the decline of Crewe Works, test trains have become a thing of the past. 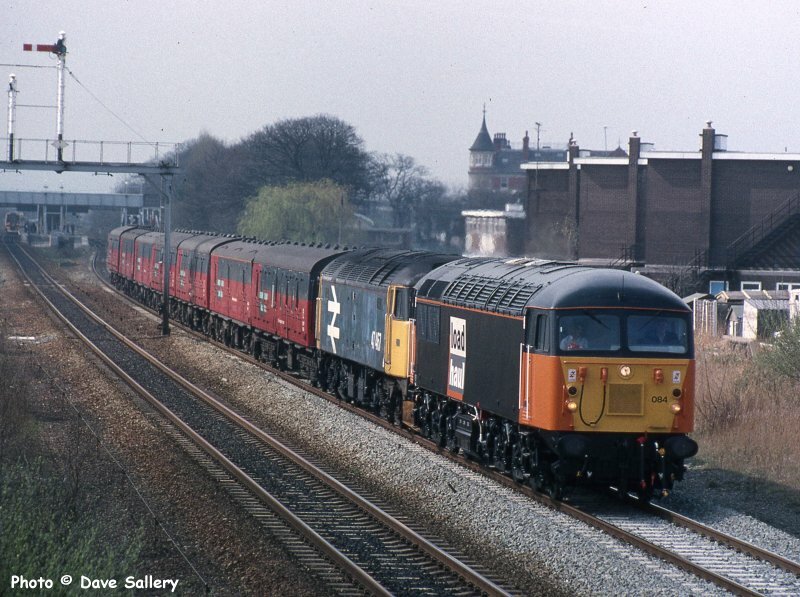 One time coast regular 47539 "Rochdale Pioneers" is seen passing through Chester on May 11th 1987. The rail blue loco and rail blue carriage make an interesting contrast! 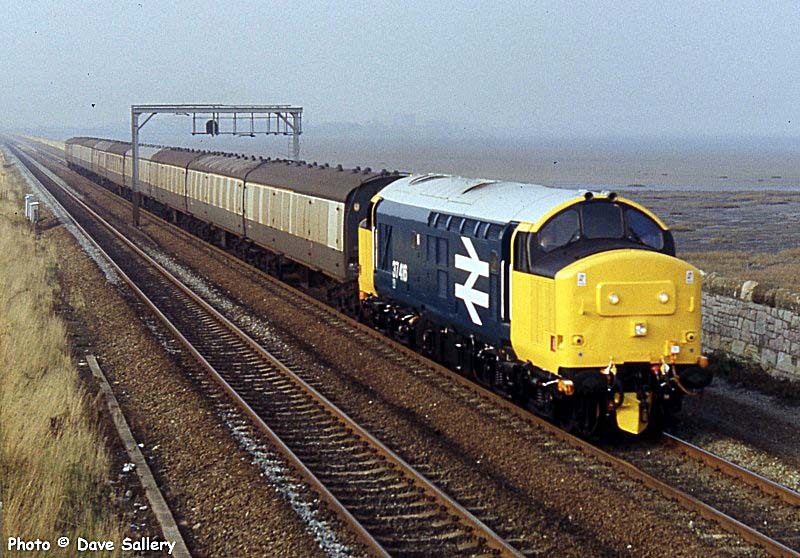 Pete Waterman's preserved Class 46 Ixion had its first trial run on the coast. 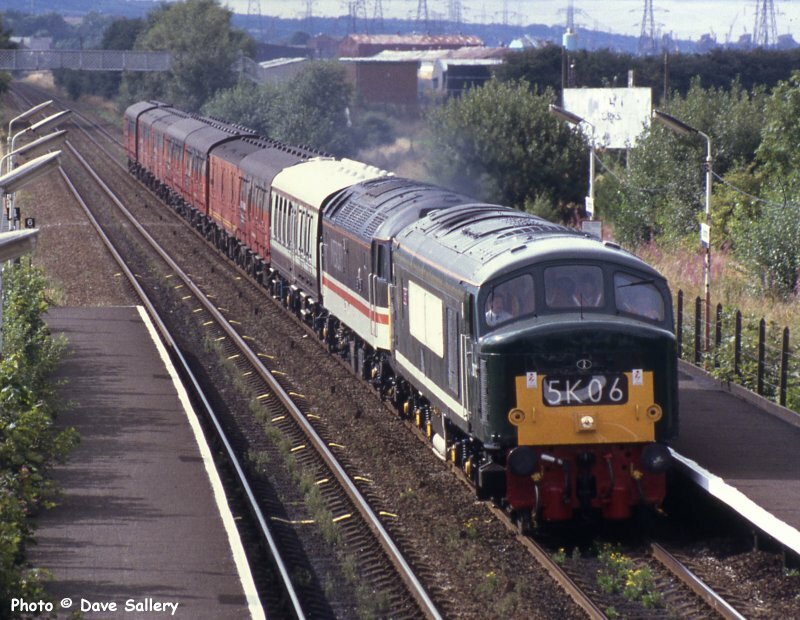 D172, one time 46035, is seen here passing Shotton on its return journey on August 18th 1994. The first vehicle in the train is a private saloon. 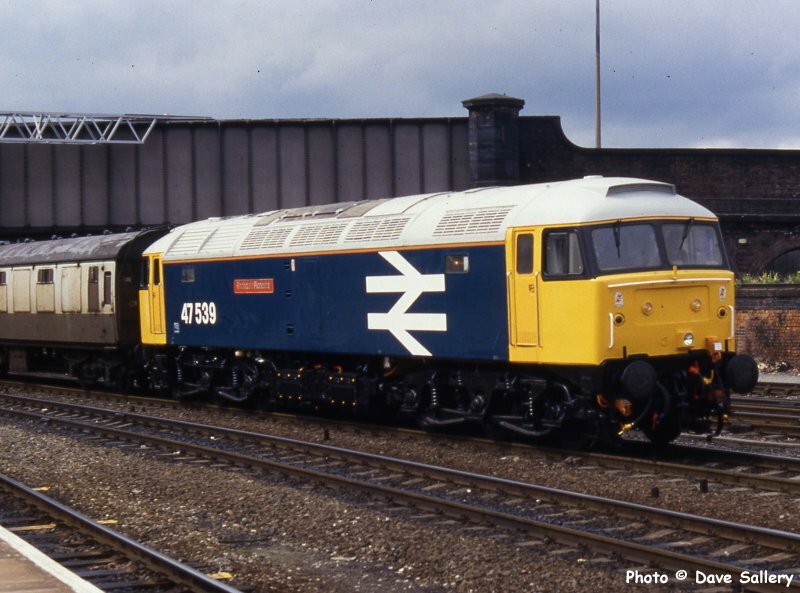 To allow retirement of older locomotives and to end the steam heating of passenger trains, it was decided to refurbish 31 Class 37's with new alternators and electric train heating. The rest, as they say, is history. 37401, since named "Mary Queen of Scots", was the first of the conversions and is seen on test heading back to Crewe from Llandudno Junction on 19th June 1985. In the background can be seen the now demolished Courtaulds factory. At this time the works was receiving 4 trains a week of fuel oil and chemicals, an indication that not all freight traffic has been lost through competition from the lorry. 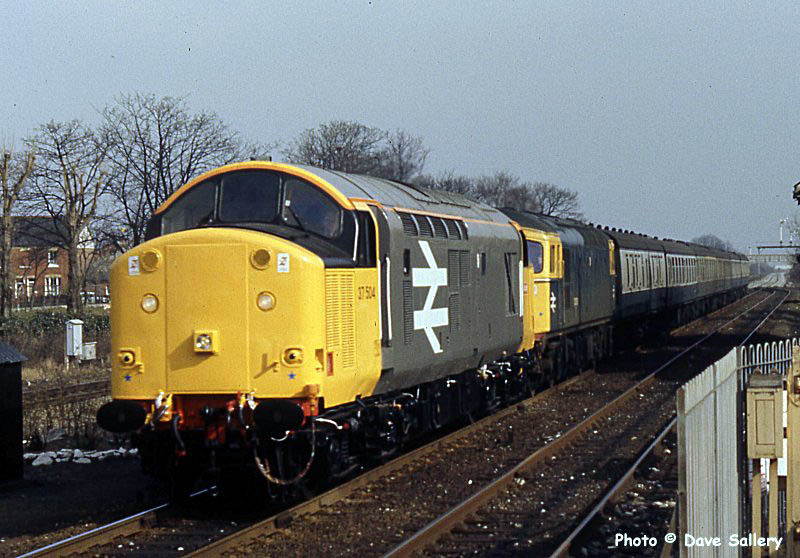 A pair of Class 47's Nos. 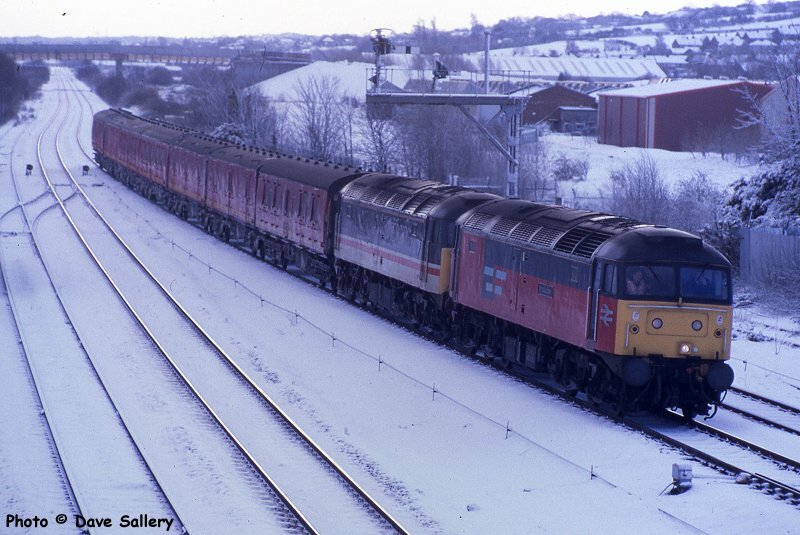 47778 and 47520 ease past Holywell Junction on a snowy March 2nd 1995. By this date the normal test train coaching stock was a spare Royal Mail train set, which was ironic as by this time the Post Office had stopped using the railway in North Wales. 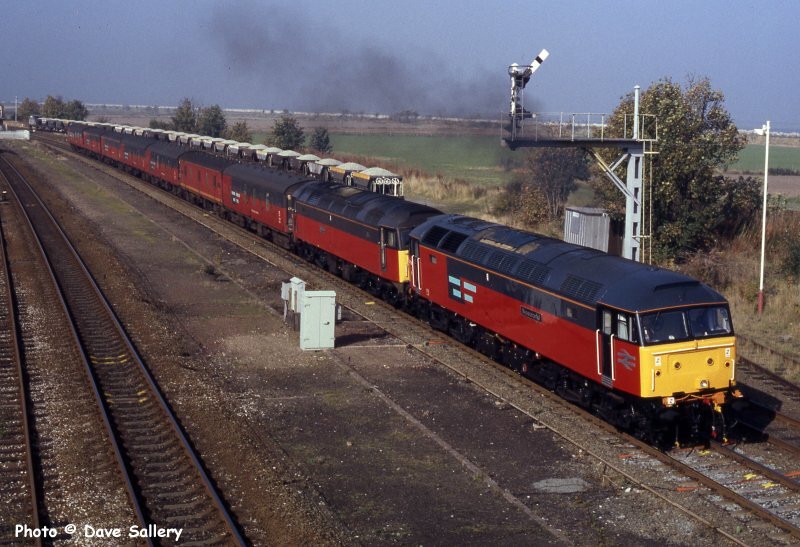 47739 is on test and 47476 is the train engine, Holywell Junction - 4th October 1994. 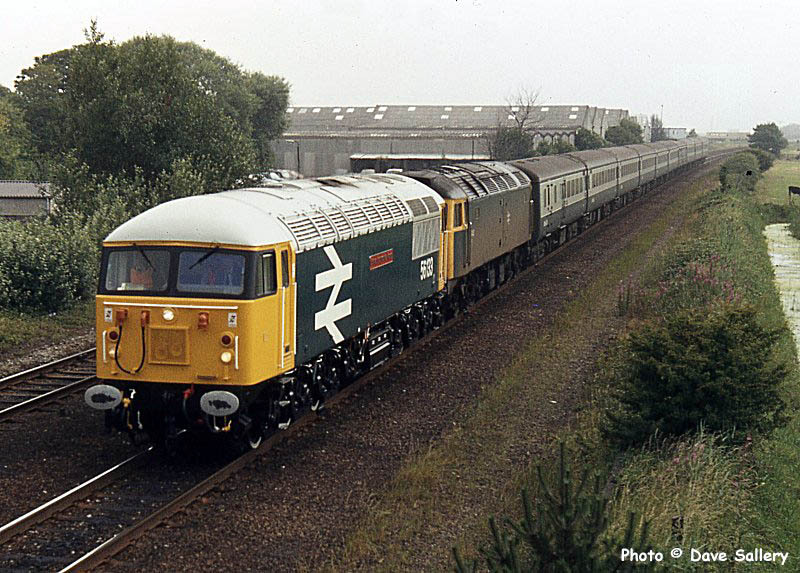 A few years before it became a coast line regular, 37416 is seen on its first outing following conversion to a class 37/4. The spotless loco is passing Ffynnongroew on October 22nd 1985. 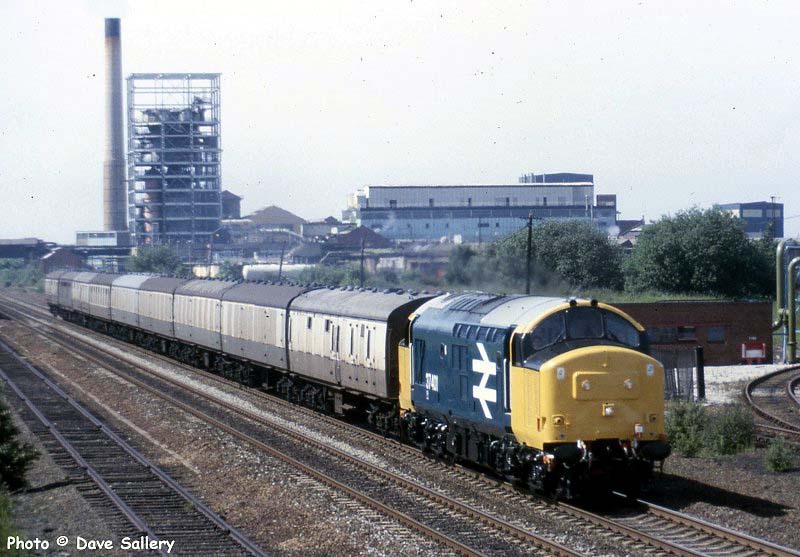 The first two Class 20 conversions for Direct Rail Services, 20301 and 20302, are seen passing Ffynnongroew returning to Crewe on May 30th, 1996. The following week these two locos hauled the Royal Train to Aberystwyth. Brand new class 56 No. 56133 "Crewe Locomotive Works" is seen approaching Prestatyn on its first running in turn, the 09.35 Crewe - Holyhead on July 20th 1984. After a short working life, 56133 was withdrawn on 8th October 1999. The train loco is, now also withdrawn, Class 47 No. 47451. On March 11 1992, due to a derailment in Crewe South yard, no test train coaching stock set was available. In order to give 37019 a suitable dead load to haul, it was decided to couple 3 other 37's, that were in for works attention, to it . The ensemble of 37019, 057, 140 and 358 are seen at Prestatyn on their way back to Crewe from Llandudno Junction. Signs of upheaval in the rail industry are evident as Loadhaul liveried Class 56 No. 56084 heads one of the last large logo 47's No.47467 up through Prestatyn on April 3rd 1995. 56084 was one of three turned out in this livery by Crewe. 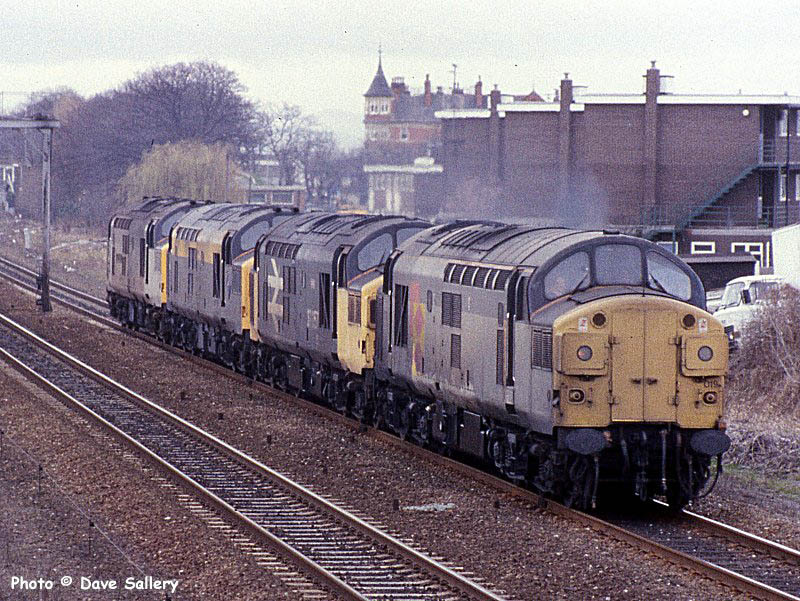 37504 leads 33009 into Prestatyn on the 11.18 Crewe - Holyhead on March 12th 1986. This train always ran with a refurbished loco on Wednesdays. The test loco returned light while the next booked working of the 33 took it to Cardiff.